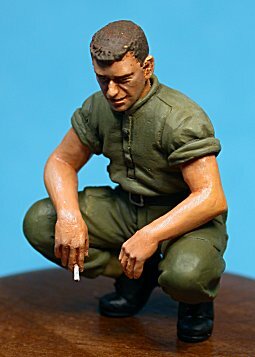 Ultracast has released a new Commonwealth armour crew figure plus a small but useful accessory. This full single figure is crouching. The pose suggests many possibilities, including looking inside a hatch or inspecting some mechanical component. He is bare headed, dressed informally in trousers and undershirt with long sleeves rolled up beyond the elbow. In fact, this figure is nicely matched to the two other Candian tankers reviewed here on Missing-Lynx back in January. In common with their earlier releases, casting blocks are kept to an absolute minimum. 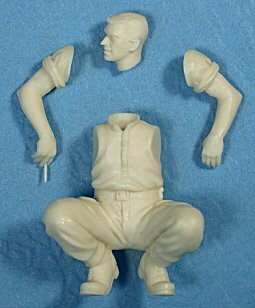 This figure is broken down into four resin parts. 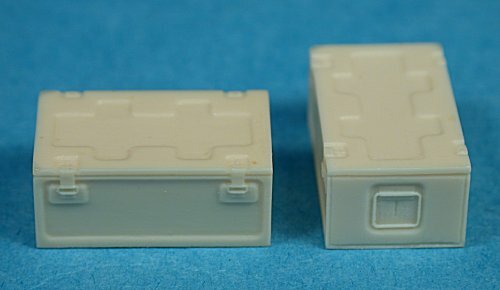 These universal ammunition boxes were seen widely in all theatres. They were used to store many different styles of ammunition. Two boxes are included in this release. The quality of both these sets maintain the remarkable standards set by their earlier releases. Casting is flawless, and sculpting is attractive and realistic. 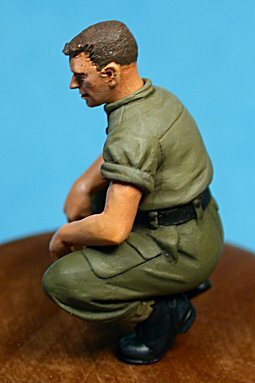 Ultracast have made a welcome contribution to populating the 1/35 scale British and Commonwealth figure world over the last ten years. 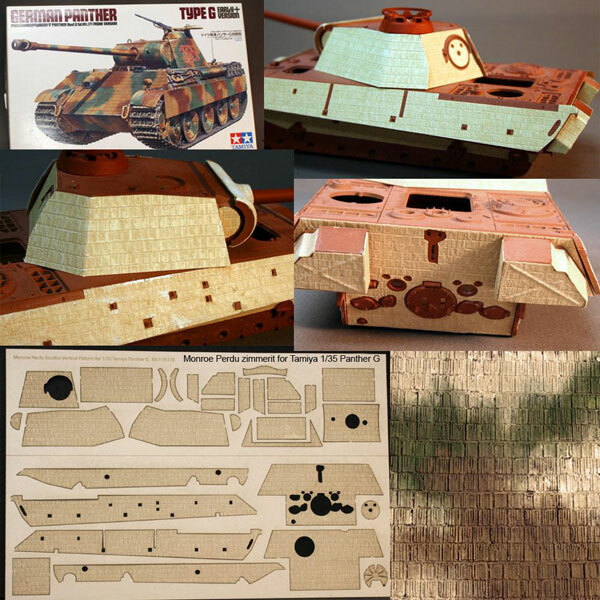 These two new releases are versatile additions to Ultracast's ever-growing range, especially considering the relative explosion of British-related armour subjects recently available in 1/35 scale. Thanks to Kevin at Ultracast for the review samples. You may view these and other products including photos at Ultracast's Web Site.